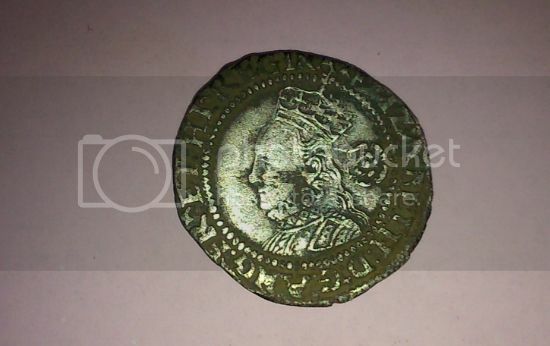 Gold James Ist Laural mm rose 1620-1 third head. Last edited by Danzigman on Tue Jul 09, 2013 9:53 pm, edited 2 times in total. I got both 1760 and 1750. Pictures will be posted tonight or tomorrow. Two Swedish "2 ÖR SM" or 2 öre silver coin, nominal value sadly enough as they both obviously are made from copper. Left one 1750, right one 1760. I have not cleaned them other than a light soak in water and brushing them off with a soft brush. They might undergo a more thorough cleaning in the future, but for now they stay like this. 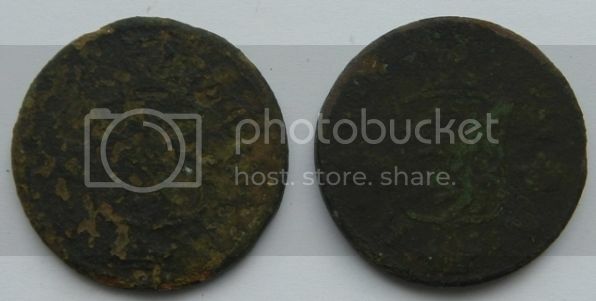 Just bump this in case some one have found one..
Like both sides of coins shown please. Last edited by Danzigman on Thu Aug 01, 2013 11:52 am, edited 1 time in total. 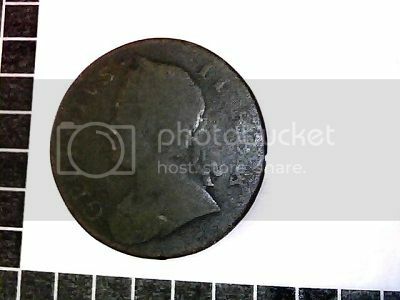 Hope this is acceptable, an 1805 George III Irish halfpenny. I turn the page to 6..
Last edited by Danzigman on Wed Jan 08, 2014 10:03 pm, edited 5 times in total. Thanks Greg... even I had forgotten about it.. Enjoy your weekend..
Last edited by PDAquinas on Sat Nov 16, 2013 7:41 am, edited 1 time in total. Last edited by Danzigman on Tue Nov 19, 2013 10:01 pm, edited 2 times in total. Last edited by coinhunteruk on Tue Nov 19, 2013 11:52 pm, edited 2 times in total. Garrett AT PRO + pin pointer & 17 months detecting ! 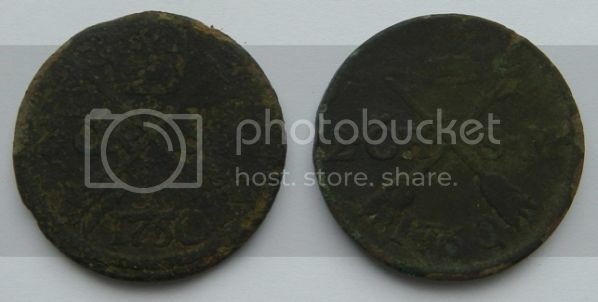 That will not be 1848,it`s William III who reigned 1695 - 1702 so your coin would be 1698!!! 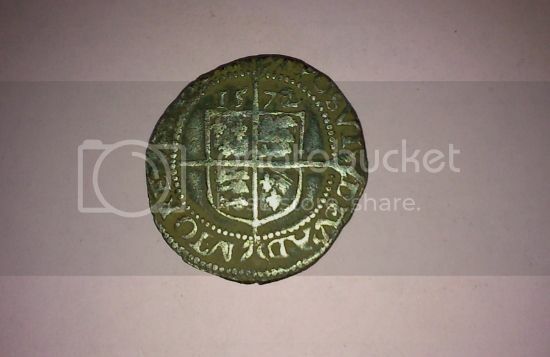 Expat Aussie wrote: That will not be 1848,it`s William III who reigned 1695 - 1702 so your coin would be 1698!!! Hey coinhunter,you shouldn`t have taken off the picture,it still counts as 1698 and that date is still up on the list!!! 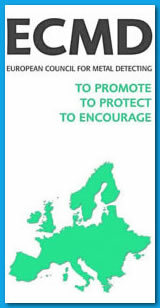 That`s a nice find,they don`t turn up in the condition of yours very often. it will come in a sek.. Here's another one mate -1684. Last edited by Danzigman on Fri Jan 24, 2014 6:28 pm, edited 5 times in total. 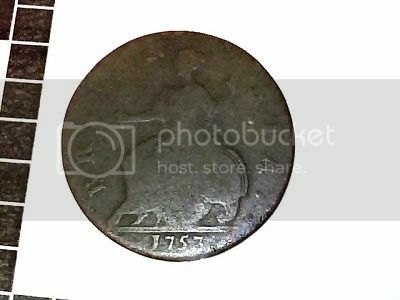 I have a 1741 george 2nd shilling, bur nor sure how to upload pictures, can anyone help me?